Easy to carry, can fix a puncture while out cycling, so you don`t need to carry more than one extra tube. Patches stick very well. Not used yet, which I'm kinda ok about. 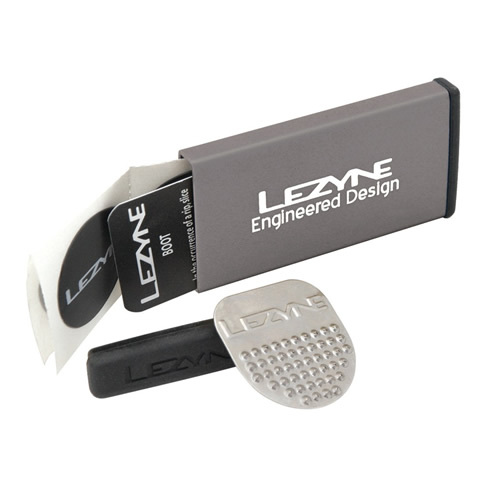 Nice and compact, brilliant quality from Lezyne as expected and looks cool! Excellent service from Merlin with very prompt despatch and delivery. This puncture repair kit is light weight, compact and looks good but does not include tyre levers..